Can we transfer any file from Windows PC to iPhone without iTunes? Well, it is possible using iMyFone TunesMate, a third-party tool which is basically a Windows software that allows transferring files between iOS devices, PC, and iTunes. 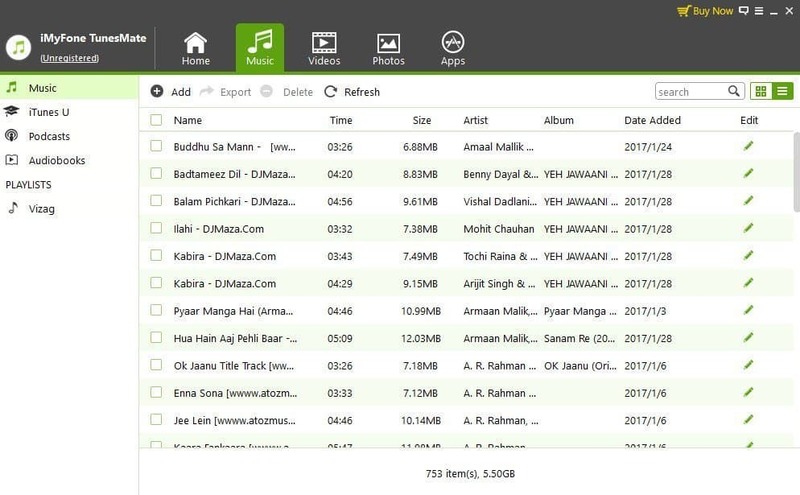 This iTunes alternative tool also allows users to transfer any of their files such as music, photos, videos, apps, etc. in PC or iTunes to the iOS devices such as iPhone, iPad,iPod, etc. It comes with a number of features which not only allows to transfer files but also lets you perform some advanced operations such as Rebuilding damaged iTunes library, iOS/PC sync, Effortless file organizing, etc. 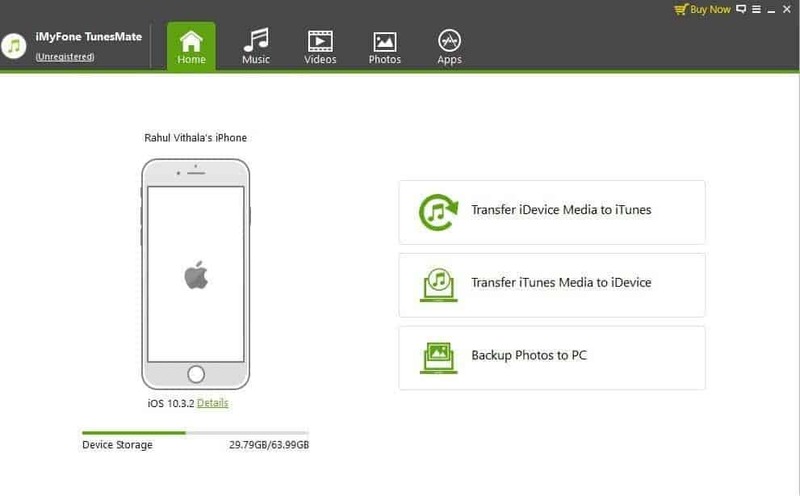 iMyFone TunesMate has all the features you need for effective files transfer to your iPhone. The file transfer speed is good, and no glitches were found during our testing process. If you are interested in knowing more about the software, we handpicked some of its most noticeable features for you. So, have a look at them. You just have to drag and drop the files between the devices to initiate the transfer process. The process is much faster when compared to other iTunes alternatives. 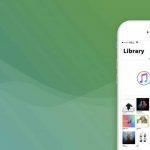 TunesMate is equipped with an iTunes Library Rebuilder which makes your broken or scattered iTunes Library exactly the way it was. With a single click of a button, you will be able to bring back the old, organized Library. You don’t have to configure anything or don’t have to do any manual actions during the process. Just sit back and let the tool do everything for you. Using the 1-Click iTunes Library Rebuilder, you could bring back almost any kind of data including music, movies, and playlists. So, the next time your iTunes crash, remember the TunesMate from iMyFone. 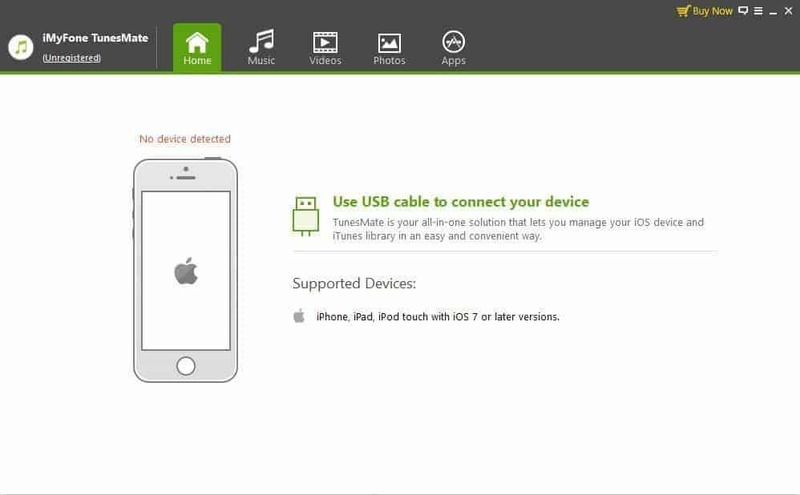 The iMyFone TunesMate software is coming with a feature-rich iOS manager which will allow you to manage the files on your iPhone/iPad/iPod devices right from your Windows PC. You can sync, merge, or delete the unwanted media files, uninstall unwanted apps, organize the files in folders, and can do almost anything using the iMyFone TunesMate. It is way much easier than organizing your files directly from the tiny iOS devices. After testing the iMyFone TunesMate for several hours on numerous iOS devices, we found it as a good alternative for the iTunes on Windows. If you are facing issues with the iTunes in transferring the files to your iOS devices, or if it is not enough for your needs, you should consider using the iMyFone TunesMate on your Windows PC. It is fast, efficient, and comes with numerous additional features which let you transfer, manage, and organize the files. If you would like to give it a try, you can use the free version. If you are satisfied with its features, also consider buying it. It costs just around $29.95 for the single PC license. So, give it a try. After testing the iMyFone TunesMate for several hours on numerous iOS devices, we found it as a good alternative for the iTunes on Windows.